"You can find magic wherever you look. Sit back & relax all you need is a BOOK!" 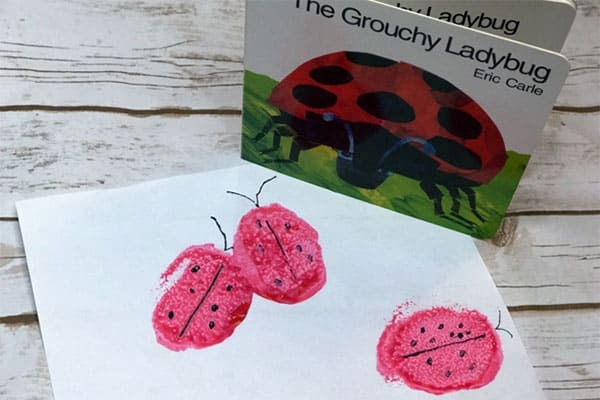 Connect, learn and create with our weekly book and theme based curriculum that encourages a love of books, supports education and is fun for children and you to do together. Want to encourage a lifelong love of learning for your child or the children that you work with. Then connect their favourite books to core knowledge, crafts, recipes and play! 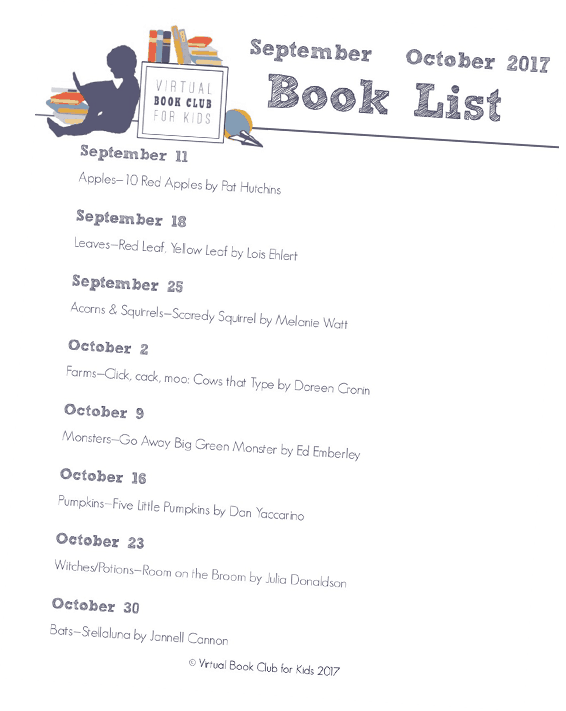 Each week find brand new activities based around popular preschool themes and featured picture books. Developed by the Learning Team behind the Virtual Book Club for Kids and their invited co-hosts. The? ideas are suitable for toddlers and preschoolers but can easily be adapted for older children too. 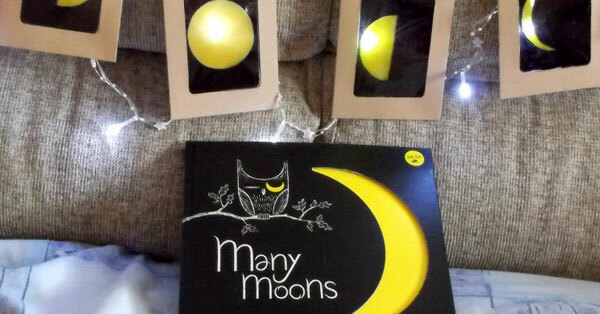 Mum of 2, Cerys is passionate about supporting children with developing a love of reading. 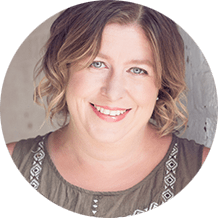 A former teacher and marine biologist she loves getting hands-on and creative with the weekly themes. 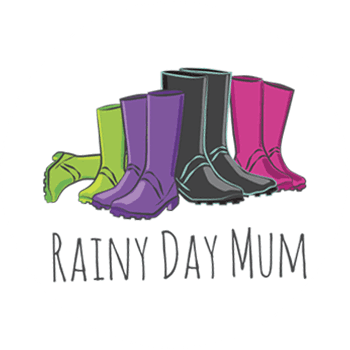 Looking for a more structure then join our mailing list and get weekly themed activity plans straight to your inbox on the themes. Struggle to find ideas to keep the kids occupied during the long summer. 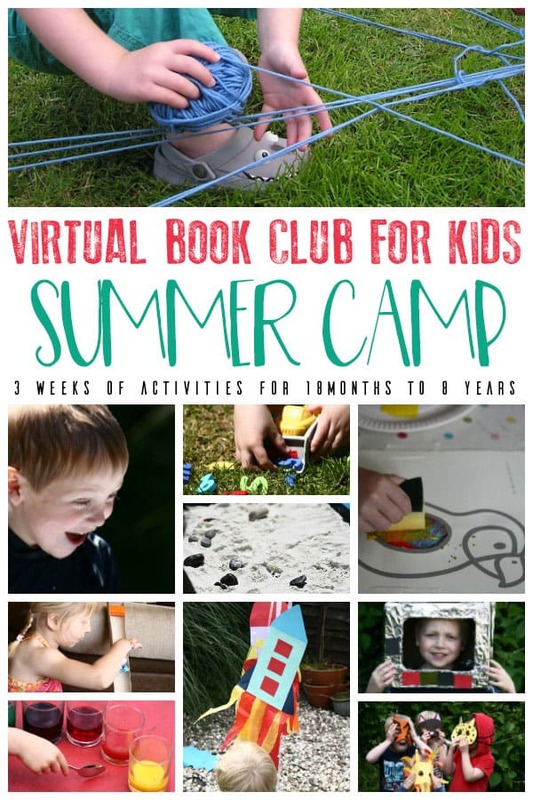 Then the Summer Camp from the Virtual Book Club for Kids Team is the perfect solution for you. For 3 weeks each summer get a fully planned book based summer camp. With book suggestions, supply lists, exclusive Facebook group for support, activity plans with STEP BY STEP instructions. Perfect for use in the home or setting. Sign up to receive notification when enrolment for the next summer camp is open. A fun theme to start the year off apples are abundant in autumn and so many crafts and learning activities to do with them. Autumn leaves are falling down, falling down, falling down and the world is full of colour. Join us for this seasonal theme. Take away some of the fear of things that go bump in the night and make monsters fun. Start planning ahead when you sign up to receive our themed book based activity plans you will get a book list with the up and coming themes plus access to all the past activity plans.